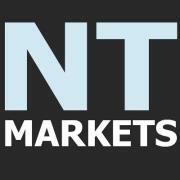 Wednesday 30th September-Market Wrap | Beeks Downunder-Because not all financial news is boring! Shares rebound today as end of quarter buying helps into the close. A late rally had the ASX 200 closing +103 points. This follows on from yesterday’s 195 point fall. The index has now pushed back above the 5000 mark to 5021. China up 1.34% ahead of the PMI numbers. Are we in the eye of the storm? Telstra days are numbered as Vodafone lands a $1bn deal with TPG and CBA roars ahead +3.7%. Dow Futures +129 points. 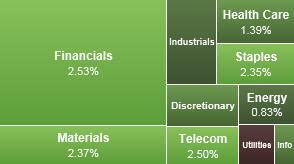 Today’s rally was driven by the banks, telcos and miners. CBA led the charge rallying 3.42%. ANZ closed +2.65%, NAB +2.67% and WBC +2.06%. Despite today’s rally, the performance for the month was still disappointing at -5%, following on from August’s 8.6% drop. 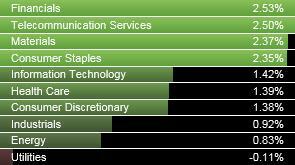 Standout performers today were TPG +7.1% and MTU +7.47% and Hutchison +17.5%. Origin Energy (ORG) released plans for a massive $2.5bn capital raising. Energy stocks were hardest hit. Santos (STO) -7.01% and Oil Search (OSH) -1.1%. St Barbara Mines (SBM) +8.25% has had a blistering month with shares up around 112%. They rose 19% today alone despite a fall in the gold price overnight. 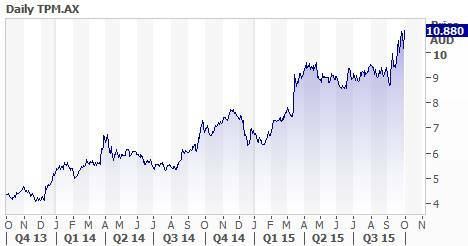 Deutsche Bank raised its target price by 33% to 80c today. A Hong Kong hedge fund has started shorting the big 4 banks, especially ANZ. It expects a doomsday scenario here when the property market bubble busts, leaving the country ‘destined for a recession’. It expects bank share prices to fall further, on the basis that the bad debt cycle has bottomed, loan arrears are picking up and credit growth has peaked. Here is the LINK to the Fairfax article. Today’s building approvals report for August was weaker than expected. There are early signs that APRA’s regulations, Chinese capital controls and bank restrictions on investor property lending are starting to take effect. Building approvals fell 6.9% in August, which was worse than market expectations of a 2% fall. Over the 12 months to August, building approvals were up 5.1%. The move was driven by an 11.4% fall in the apartment sector. 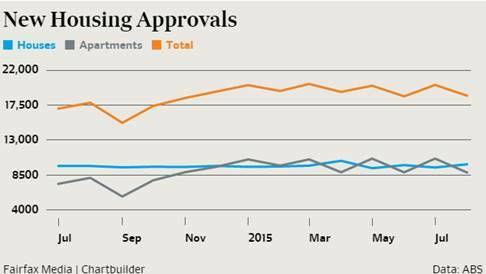 Here is a chart from the AFR. Betashares issued a warning to bargain hunters saying buyers beware, the ASX’s correction may not be over yet as stocks remain relatively expensive. The PE valuation for the S&P/ASX 200 (14.5x) is still a above its long run average of 13.5x. Glencore rallied 16.95% overnight after a 29% fall the previous day as the management get on the front foot to combat the rather hysterical suggestion that the company is without value. The company said it was”operationally and financially robust”. TPG Telecom (TPM) +7.1% and Vodafone Australia (HTA) 17.5% have landed a massive $1bn deal which puts Telstra (TLS) +2.37% on notice. The agreement will see TPG supply Vodafone with a data network of dark fibre to Voda’s towers. It basically preparing Vodafone for 5G. 5G will enable exciting things such as the internet of things, car-to-car communication and augmented reality. A brave new world. TPG will be constructing and maintaining the physical network, while Vodafone controls what parts of the network are used and how they’re used. This means users will enjoy much quicker data speeds. TPG estimates that it will incur incremental capital expenditure of $300-400m over the rollout period, the majority of which will be incurred over the next 3 years. TPG will also migrate its 320,000 mobile users over to Vodafone Australia as part of a $1bn link up. There are rumours doing the rounds that this is the first move, in which TPG could merge with Vodafone to create a company that could be a big threat to Telstra. Origin Energy (ORG) shares are in a trading halt pending the release of an announcement in regards to a capital raising. ORG will raise $2.5bn via an entitlement offer. It plans to cut its dividend, reduce spending further and sell up to $800m in assets. Debt will be reduced to $9bn by the end of the 2017 financial year. Slater & Gordon (SGH) shares rallied as much +14.6% following the release of a revised version of its accounts for the past two financial years following an audit of its UK businesses. The audit by Ernest & Young identified a range of adjustments and corrections: a rise of $1.4m to the $82.3m NPAT in 2014/15 and a decrease in net assets of $14.5m. NPAT for the previous year was lowered by $9.6m and net assets reduced by $9.6m. Shares closed +2.44%. AGL Energy (AGL) shares closed -1.6% on its AGM. Forecasts underlying earnings to come in at $US650m-$US720m. ASX shares closed +2.16% on its AGM. The recently volatility in the sharemarket has been a positive for ASX as volumes have been high. Trading in the ASX’s cash market grew by nearly a quarter with more than $4 billion traded daily between July 1 and September 25. On the downside, daily equity options trades fell 13% following the collapse of BBY.